My family loves macaroni and cheese. But my children are the silly kind of children that prefer boxed macaroni and cheese. Crazy, I know. We tried Janelle’s recipe for Baked Macaroni and Cheese and my husband and I loved it. 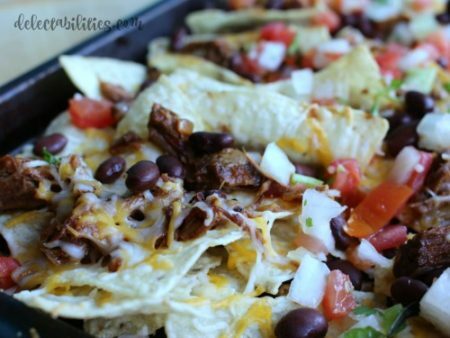 It is cheesy and delicious! But my kids didn’t even want to try it. I freely admit that my children are a bunch of goofballs. So the fact that my children willingly tried and ate this is a big deal. I used three different cheeses, the main one being Sargento Tastings Bruschetta Jack. It’s actually what inspired this dish. 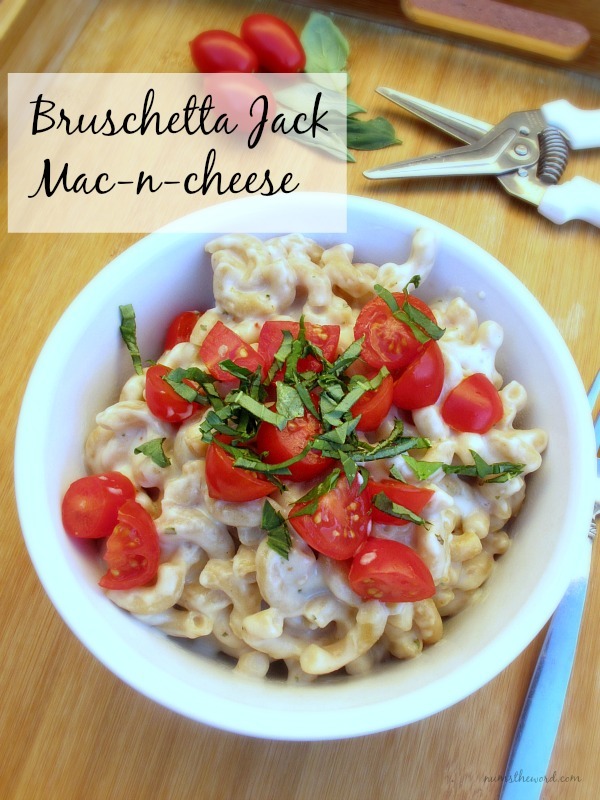 I had seen a couple recipes for macaroni and cheese involving either bruschetta flavors or caprese salad flavors, which are basically the same, right? But I also knew that my children and my husband would not appreciate big chunks of tomato. So when I saw this cheese and knew I could get those flavors in there without the chunks, it was meant to be. I, of course, preferred it with lots of fresh tomatoes and basil on top. My family, on the other hand had it plain and loved it. So, either way you like it, give it a try! Meanwhile, melt butter over medium heat in large skillet. Add garlic and cook for about 30 seconds, making sure not to burn it. Add flour and stir and cook for about a minute, then slowly whisk in the milk. Continue to stir and allow to thicken slightly. Turn to low and add cheese, slowly and stirring constantly until all the cheese has melted. 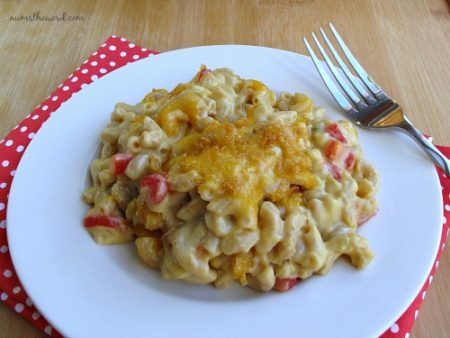 Remove from heat and add cooked and drained macaroni, stirring to incorporate. Serve topped with chopped tomatoes and fresh basil. Turned one of our favorite summer grilling foods into a delicious pasta – so you can enjoy it any time of the year. 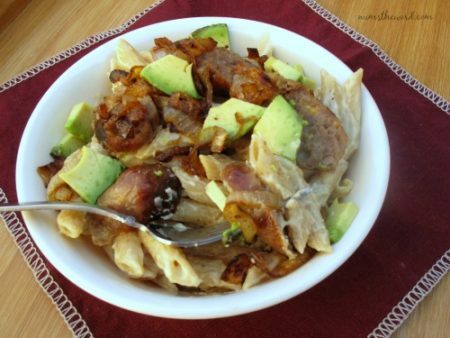 Cheesy, creamy, ranch flavored pasta topped with sausage, avocado and caramelized onions. You missed 2 Tbs. Flour in your ingredient list! I did, Paul, thank you. I’ve updated the recipe.